This is my own paintjob, Aoi doesn't involved anything to this (His paintjob contains colorful splash like To Love Ru or Haganai. He's really bad at coloring so that's why i always finished all his works) and i saw Yohsuke's skins, Marisa and Reimu, they're look cute. 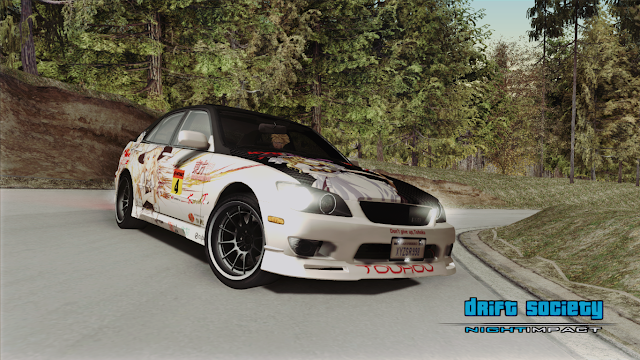 So i decided to make the paintjob version of it, it looks nice even the rear bumper a bit mislead. Enjoy.